"There aren't enough cellos in Metal" were the words when this album came for review. There could be a big discussion about that... 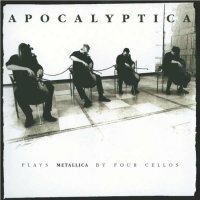 This was the 1996 album which broke Finnish Apocalyptica, the sound pretty fresh and uncompromising; that they played Metallica tunes, tunes we knew, made it more interesting still. They went on to release regular albums as well as grace festival stages and given it was twenty years ago etc... we have a re-release, of course we do... and with two bonus tracks, a Neil Sedaka and a Perry Como – not really of course, they are in fact (unsurprisingly) more Metallica monsters. It will of course divide readers of this mag; some will deride it as not really proper, some will see it as a refreshing, fun and something different on offer – with Baby Metal getting plaudits from polls in other mags, it is a live discussion. So, to the music. Well... it's Metallica tunes, done on cellos. 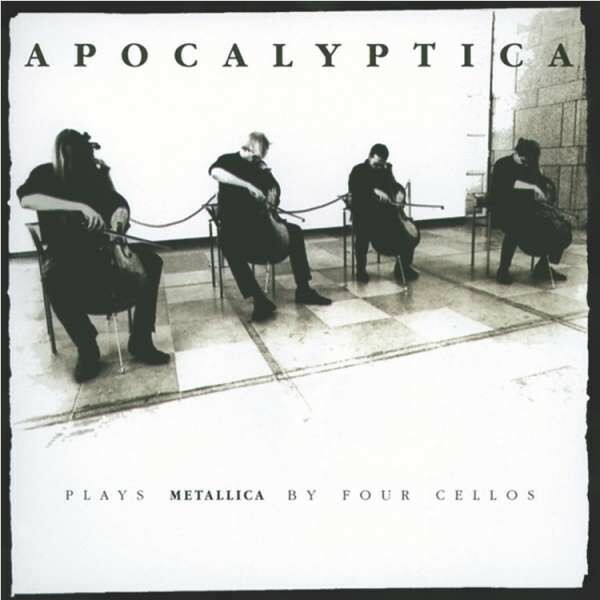 What you see is what you get, no adulteration – to be fair Metallica themselves have messed around with their own music more than Apocalyptica have. 'Enter Sandman', mournfully realised with plaintive strings, is interesting purely because it causes you to rethink your view of a well-known track, but 'Master Of Puppets' with a lighter lyrical middle and 'The Unforgiven' with its pastoral moments almost make these tunes into different songs completely. It really isn't all good though, as the violin in 'Sad But True' takes the vocal melody and resembles a Hammer Horror Gypsy camp scene, whilst 'Creeping Death' simply has no hook. At worst, these covers can sound like exercises, as if someone had set a teaser competition and there was a prize for the most interesting resolution. It's when they go for it that things become more interesting; they really do have a go at patterning Metallica's serrated riffs on 'Battery' and rush through 'Seek And Destroy', both bonuses, even having a good go of a screaming solo. This is undeniably impressive. Is it any more than just a fun diversion? A bit of gilding on an already huge, shiny Metallic lily? Or is it a musical challenge which gives already loved music a completely new lease of life? You will decide. Whichever it is, Apocalyptica made a splash right at the deep end.